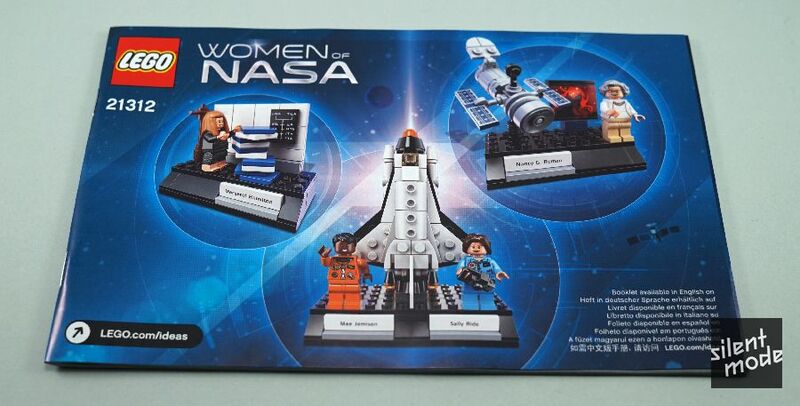 Women Of NASA is LEGO Ideas set number 19. It comes in a very similar box to the Research Institute, except taller. From the outset it has a professional design, and we know exactly what to expect. 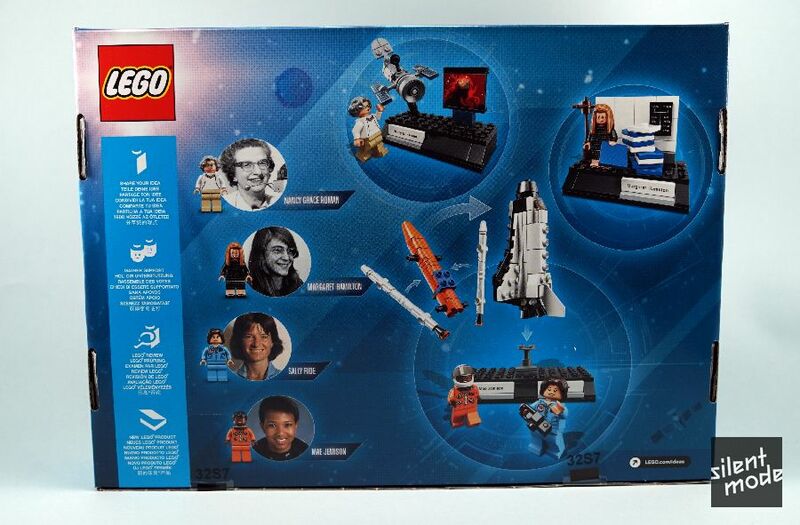 The back of the box wastes no time in introducing us to the featured women of NASA. The brief information about LEGO Ideas takes a back seat this time around. Another difference this time is the minifigures being pictured together on the side. The generic helmet with visor is used as a scale reference. Strangely enough: despite NASA being part of the set’s name, the NASA logo doesn’t appear anywhere in the set or on the box. 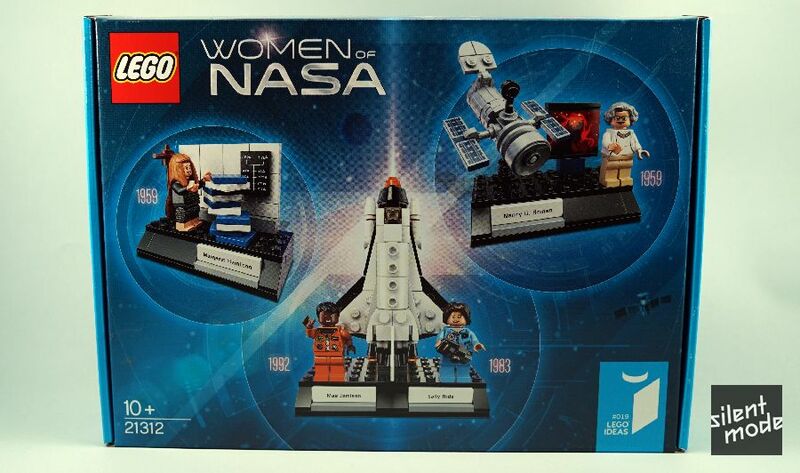 It’s probably because it’s not an official NASA product, or that none of the women are still NASA employees. In stark contrast to the box design, I was taken aback by the emptiness of the inside. 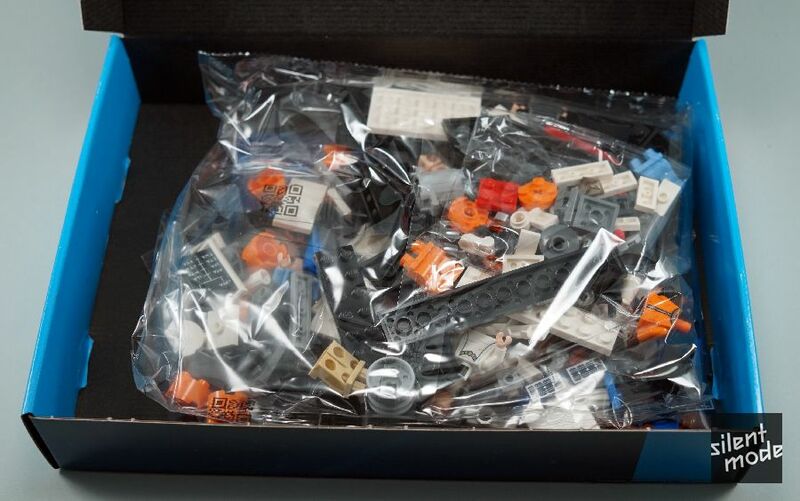 You could argue that opening the box is like taking a look into the darkness of space… But all I saw was an unceremonious arrangement of parts inside some bags. I’m not sure how this could have been improved; it just seemed odd. 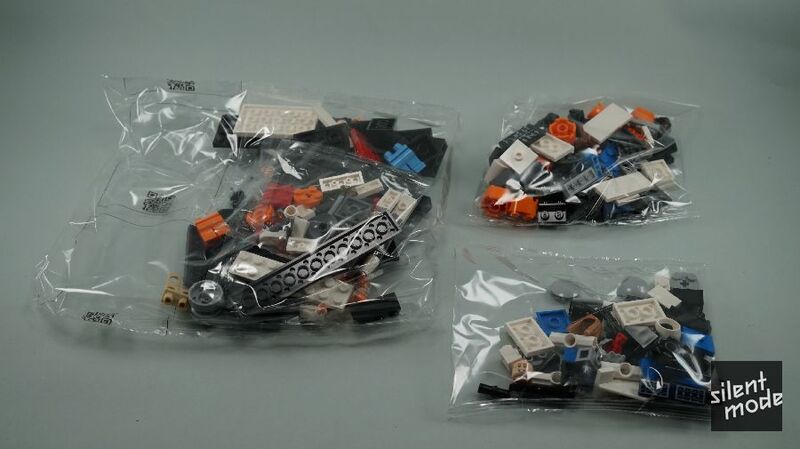 To add to the oddness: these are unnumbered and very much random bags. One would think that each of the bags correspond to a single build, but they do not. Even though we literally have people arguing the importance of wrapping and presentation over contents, let’s put this behind us and focus on the actual builds. If the emptiness of the inside of the box had gotten you down, hopefully the pristine instructions will help pick things up. We’re notified on the bottom right corner that it’s also available (in multiple languages) online via the LEGO website. 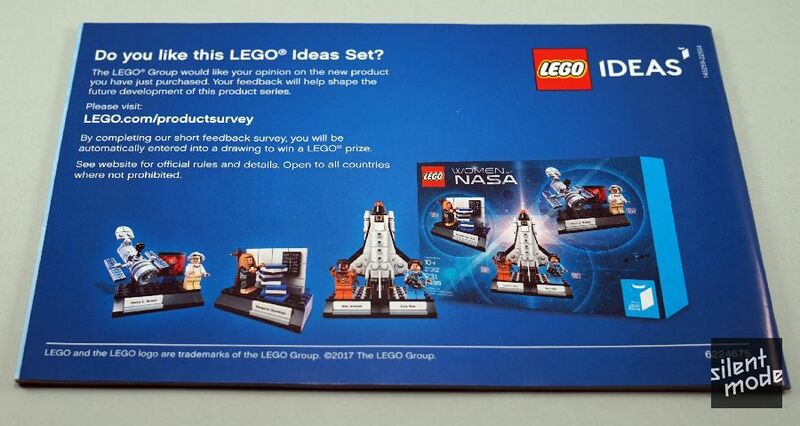 You’re also asked for your feedback on this LEGO Ideas set at the back of the instructions. This makes a change from the usual advertisement for LEGO Ideas, now on the very last spread – which could be a very discreet sign of things to come. Inside the instructions is a dual spread featuring the project creator, Maia Weinstock, and the LEGO designers who brought this set to life. I had actually teased Maia (over on Twitter) that I’d review the set after it had been announced, not knowing that I would actually have to because of the poll. In any case, this spread gives you an idea of the story behind the set’s conception.